Gothic Prayer by Anne Stokes. 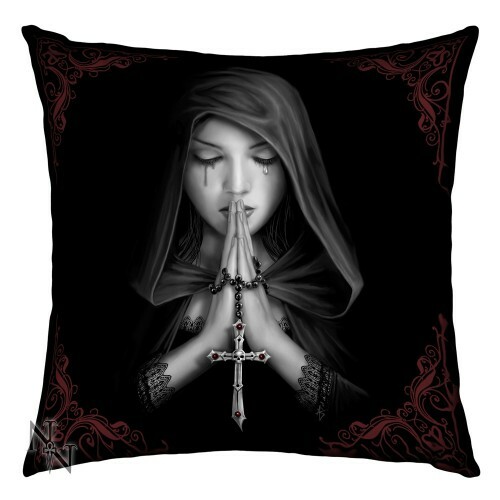 A beautiful hooded woman is praying, between her hands is a rosary with a Gothic cross. Why is she crying – what is her secret?